At Adelaide Annexe and Canvas we can create Outdoor Blinds to suit your exact needs. With our staff having experience in custom manufacturing Outdoor canvas blinds along with outdoor mesh blinds. 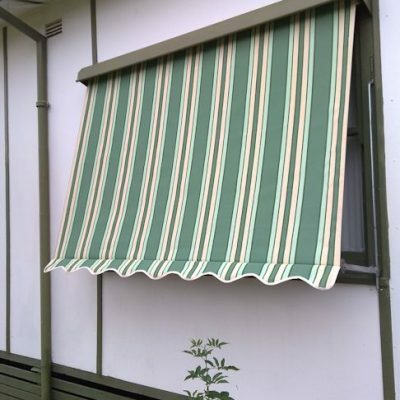 Adelaide Annexe and Canvas is South Australian owned and run, and we use high quality materials so you know that when you order Outdoor blinds from us, they will last a long time. When you are looking for Outdoor Patio Blinds one of the most important things to look for is quality workmanship. With quality materials and stitching our products will hold up to Australia’s harsh conditions such as our wind and rain, and harsh sun. UV protection is also an added benefit of using outdoor blinds. The effect that quality outdoor awnings or retractable blinds have on reducing energy costs to the household is often understated. By keeping the sun out of the windows of your living spaces during the day, it will often reduce air conditioner run time, and therefore electricity costs. If you are considering exterior blinds then contact Adelaide Annexe and Canvas, to discuss your options with canvas blinds, outdoor mesh blinds and blind accessories.